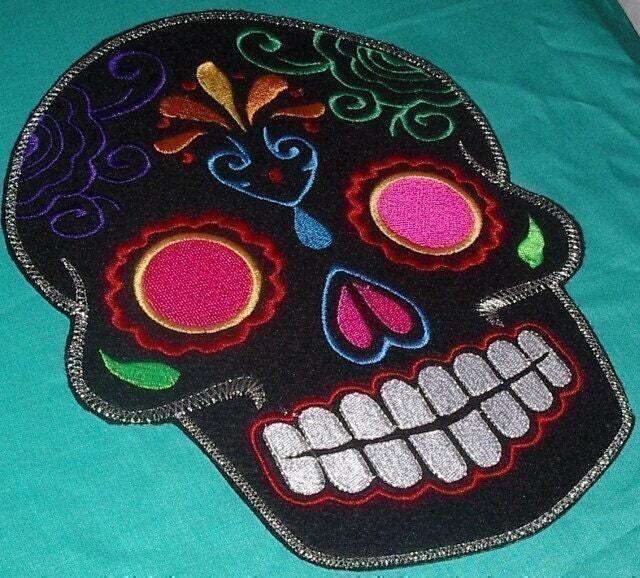 This is a pretty large size patch, embroidered on felt. 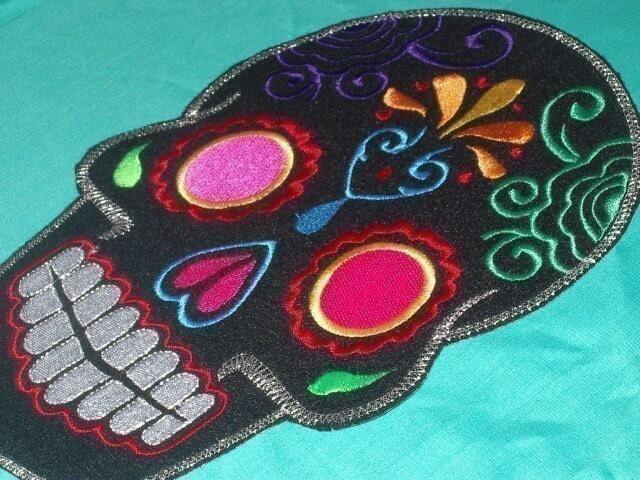 It is about 8 X 10in.This Calavera is appropriate size for a jacket back, or tote bag. I have ordered from these folks a couple of times and am never disappointed ! Wonderful work and shipping time ! 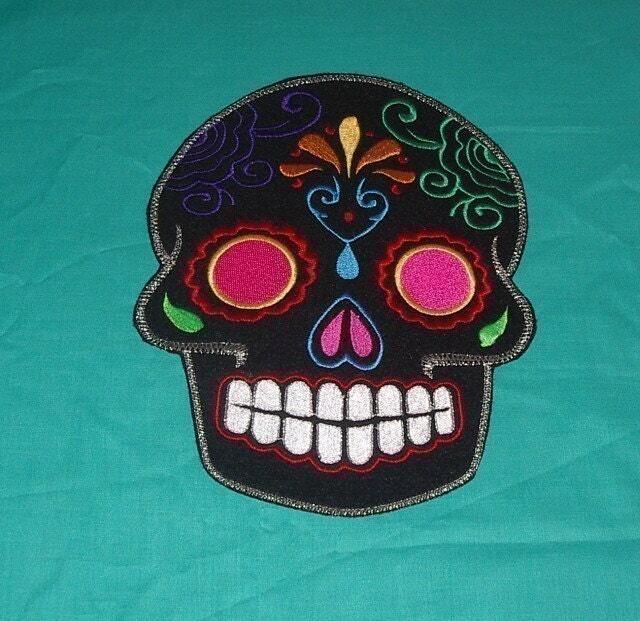 Wonderful quality patches. Beautiful and vibrant. Quick shipping and seller was friendly and helpful.